Melbourne commuters were surprised this week when they boarded trains to be greeted by an old friend – the mX newspaper is back! 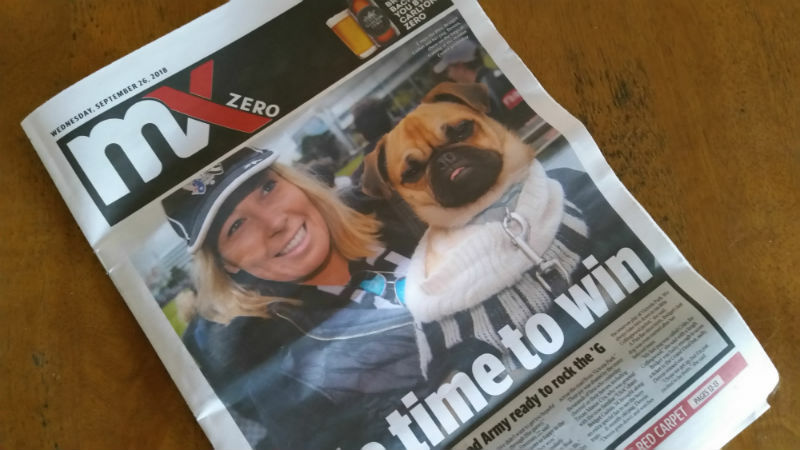 Kicking off during the AFL Grand Final Week, the mX reboot will be sponsored by Carlton Zero, with special editions published each Wednesday for the next four weeks through October. Copies will be available at Flinders Street, Southern Cross, Melbourne Central, Parliament, Flagstaff and Richmond stations, Wednesdays from 3pm. The mX was last published in 2015 after a 14 year print run. Following its launch in 2001, the paper instantly became a hit with afternoon and evening commuters on the train home from work, full of weird, wonderful and wacky news stories (and of course some very pun-tastic headlines). It’s great to see it back again – and a reminder of a simpler time.